A technology that will make air travel 100% safe	No ratings yet. A way of making air travel 100% safe has been conceived, after an inventor released designs for a detachable cabin. The Ejection seat technology doesn’t make a lot of sense in an air plane, but with this new technology the entire cabin could eject. The moment something goes wrong in a plane the whole cabin could just shoot out with a parachute attached to it. The technology was invented by Tatarenko Vladimir Nikolaevich, who has been working on this project for about three years. 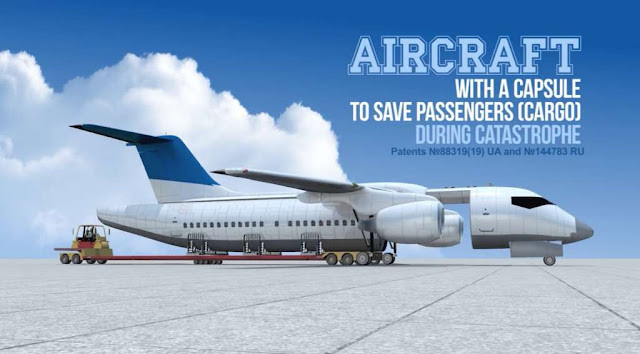 The video below explains exactly how it would work during flight emergency situations. It consists detachable cabin that could be ejected (removed) at any time during take off, mid-flight or landing and allow the passengers to land safely either in water or on land. Due to parachutes attached to the cabin, which would automatically open once the lower capsule is separated from the aircraft, passengers could land safety on water or on the ground. The prototype also includes storage space designed to hold luggage under the cabin, so that passengers wouldn’t lose any of their personal belongings (travelling bags). 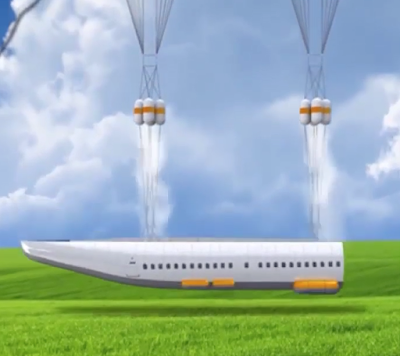 •The video below shows how the cabin would detach during mid-flight as well as during take-off and landing. People have been asking questions over the potential impact on the rest of the plane, the possibility of the detached cabin crashing against mountains or buildings before landing and mostly the fate of the pilot. However, a questionnaire conducted by the inventor found that 95 percent of those questioned would be willing to buy a more expensive ticket in order to use such a safety system. This technology is still in the prototype stage. And it might be implemented in 2018.